I have no idea how it happened, but... my SPD/PGP magically got better and I am not in agony anymore. In fact, for the past 2 weeks I haven't experienced any major pain in my pelvis and I just have a bit of back pain and find everything exhausting. 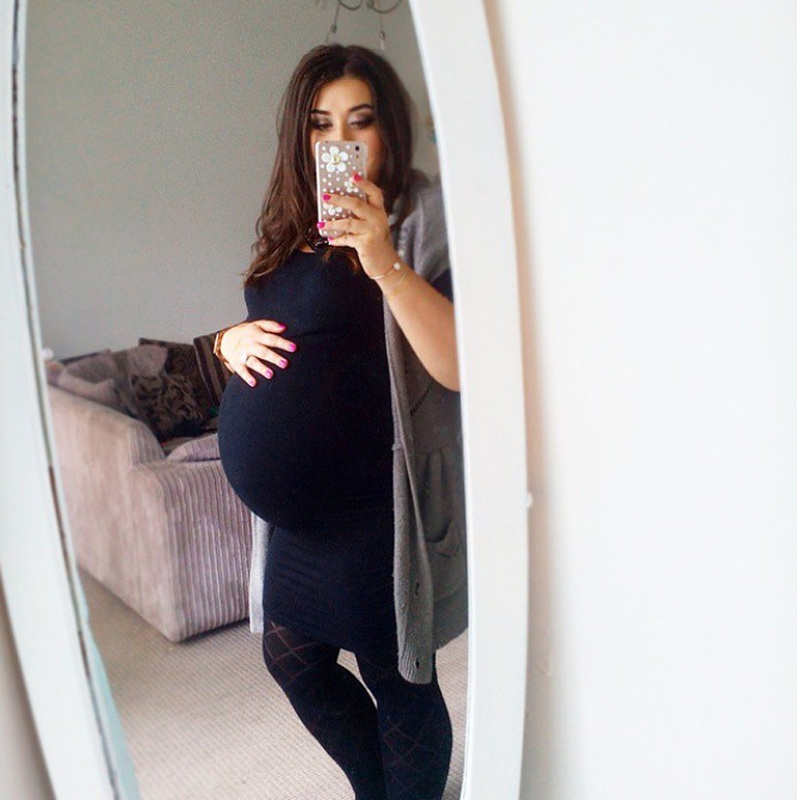 It is such a relief though, because I was told by my midwife that my SPD will only get worse closer to my due date! Maybe the baby was putting too much pressure on my pelvis? I am not sure what happened, I just hope I don't get to experience it again. What else... I have been feeling ok, just very tired, especially on hot days. I also experienced a couple of mild nose bleeds. I used to get them a lot as a kid/teenager and the doctors couldn't find a reason why. It happens randomly, when I don't expect it at all. I was making dinner today and I just felt blood coming out of my nose, dripping down my face. Lovely. I know not to panic in this kind of situation, so I dealt with it quickly, but I do feel a bit light headed. I have to make sure to keep taking my iron supplement, because I can end up losing too much blood during labour of I have iron deficiency. 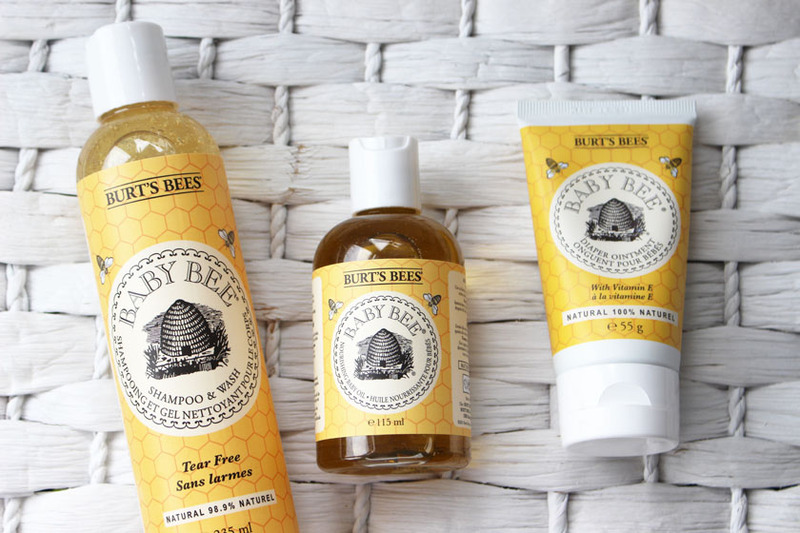 I was recently offered a MyVitamins voucher recently and I used it towards this Burt's Bees Baby Bee Bundle*. I love the smell of Burt's Bees products and they are meant to be kinder to skin, so I thought I might give them a go. It turns out these are not as safe as I would like, so I am not sure if they will be used. I prefer not using anything at all on my babies in the bath and moisturise only with natural organic oils (coconut, almond etc), but as Zachary started asking for bubbles in his bath lately, I might let him use the shampoo/wash once a month. We will see. 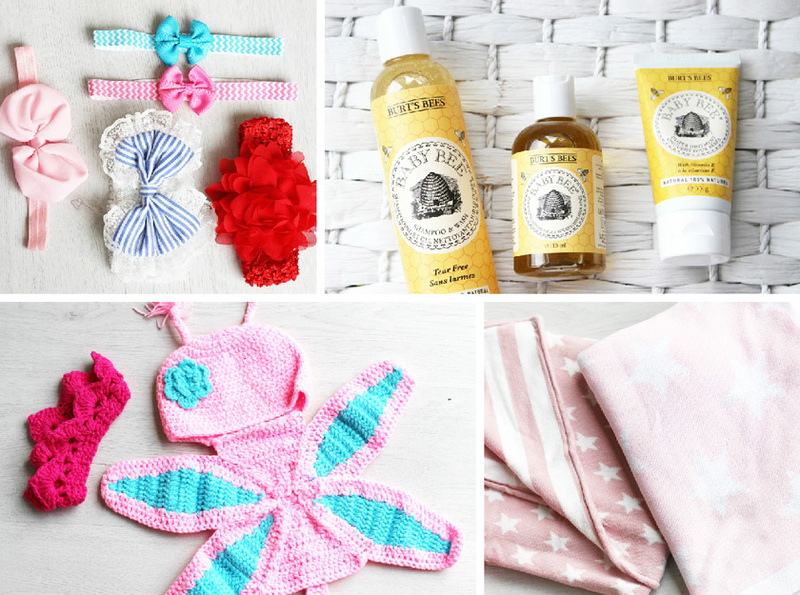 The bundle contains a Shampoo & Body Wash (236ml ), a Diaper Ointment and a Nourishing Baby Oil (115ml). 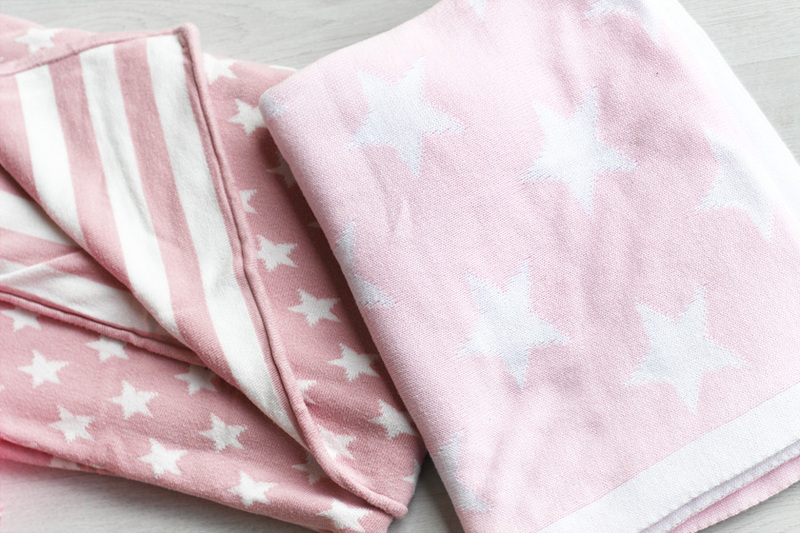 I have plenty of baby blankets already, but I wanted some cute reversible pink ones :) The one on the left is by Bamboo Baby and it's their Reversible Pink Star Knitted Blanket. It's loooovely and super soft. I got mine on ebay a bit cheaper than RRP (£50.00). Another beautiful blanket I ordered is by Pixi & Jack and it is an absolute bargain! Currently reduced from £25.00 to £12.50! The quality is amazing and I can't recommend it enough. Available here. Mu husband thinks I am mad for buying these, but I want to do a little DIY newborn photoshoot and I couldn't resist ordering some crochet accessories :) hehe. You can buy the butterfly costume here (under £5.00) and the crown here. 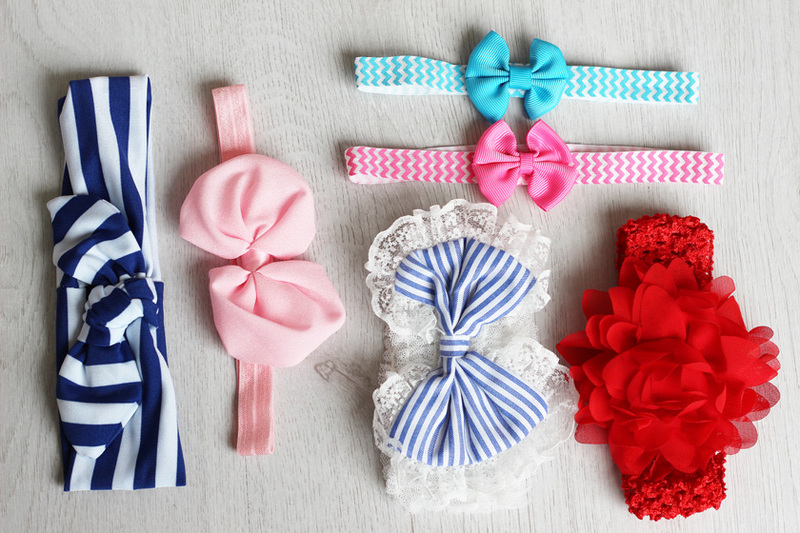 Lots of bows :) All 99p on ebay. just type baby bow and the options are endless! I also picked up a couple of girly bodysuits from Asda. How cute??? £5.00 for a pack of 3! Bargain! 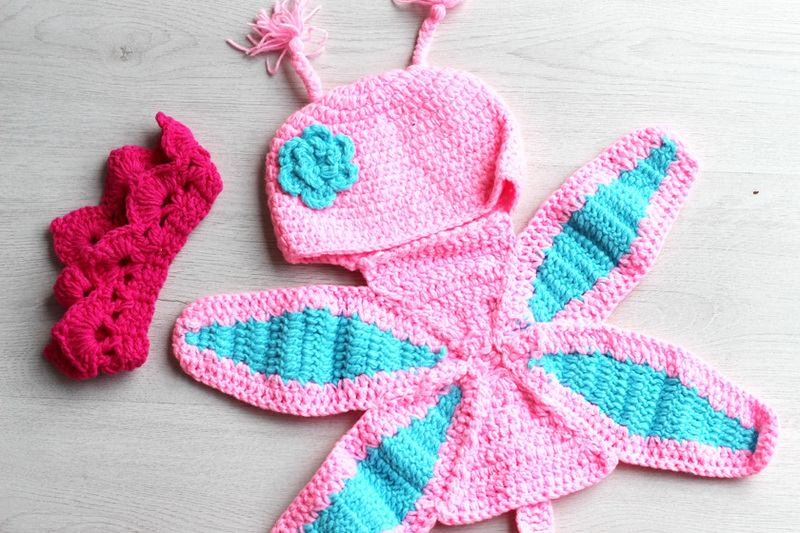 I am not getting anything in the newborn size, since the baby is meant to be big. I hope she gets at least a couple of weeks worth of wear out of these. More cute stuff from Asda. 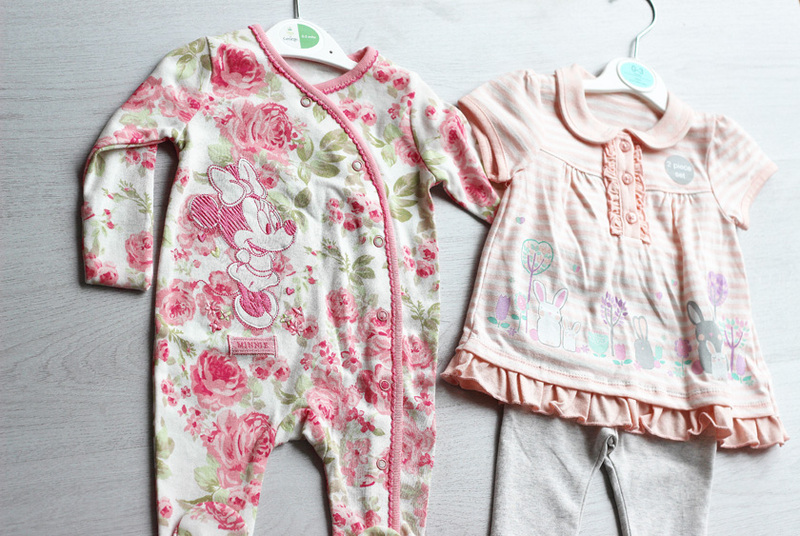 A little sleepsuit and a tunic/dress with leggings. I think these were £5.00 each too. Sooo pretty! The 3 pack of ruffle leggings was from Asda (£5.00) and they now have it on sale in store, along with lots of other baby stuff. I also ordered the pink ones with a tutu on ebay (size XS).